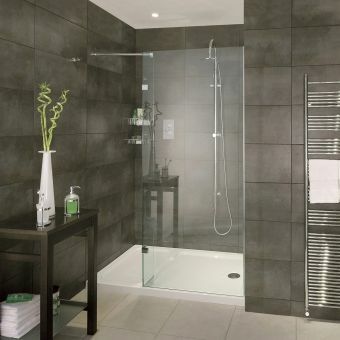 UK manufacturer Aqata has 25 years of experience in designing innovative shower solutions. 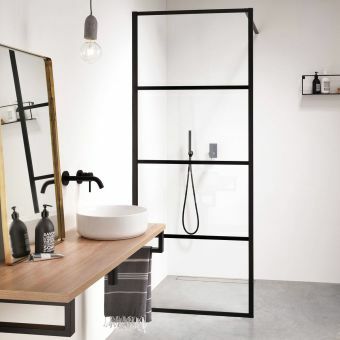 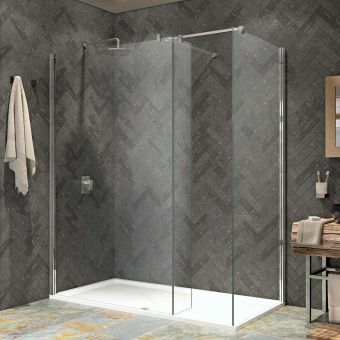 To complete perfectly a walk in shower recess, its Spectra range offers this SP446 shower screen with a hinged panel; it can be used in a wetroom with a tiled floor, but can also be installed with a tray. 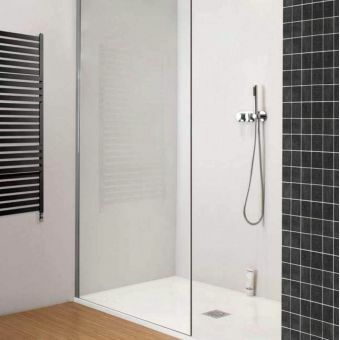 The SP446 has a full-length seal to restrict water to the shower recess, while the hinged panel prevents overspray. 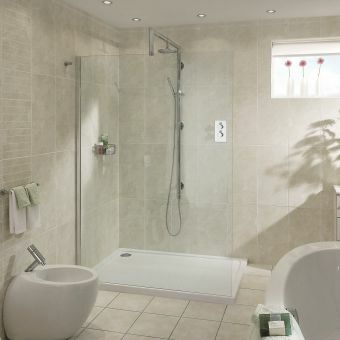 The frameless panel, a key feature of the Spectra series, is enhanced by the polished chrome of its hinged brackets. 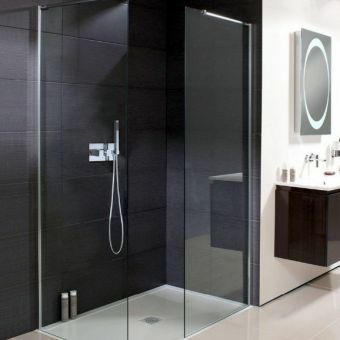 ClearShield protects its sparkling, toughened glass from the blurring produced by limescale and stains for longer after cleaning. 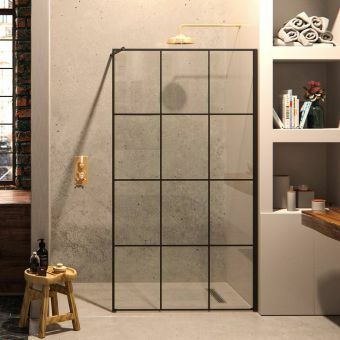 The 1950mm high screen can be ordered to suit one of three tray sizes: 1200, 1400 or 1600mm.